How Healthy Is Your New Beard? No Shave November. Ever heard of it? If you’re on social media, you’ve likely seen it or you might even know a man who is growing out their beard for this month long campaign. During the month of November, men chose to forgo shaving to help raise awareness, start conversation, and to educate others about cancer prevention. If you or someone you know is sporting a new beard, you might want to read on. Do Beards Cause Cavities or Gum Disease? You (and likely your partner too), will be glad to know that the study claiming beards are riddled with bacteria, has been debunked for several reasons. The myth was started by a news station and their test was less than scientific (for example, not one man without a beard had their face swabbed for comparison). 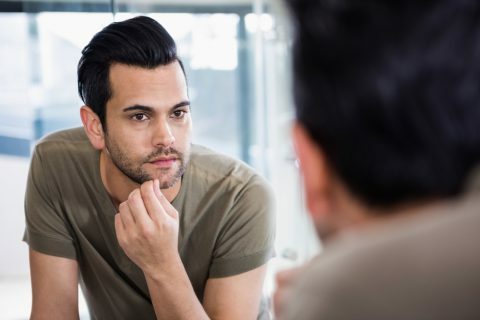 When an actual scientific study was done by the Journal of Hospital Infection, they found: 1) clean shaven faces had as much or, in some cases, more bacteria than bearded ones, and 2) it wasn’t the same kind of bacteria that can be found in toilets as the news reports claimed. Even so, bacteria is what causes cavities and gum disease. It’s maintaining a good oral care routine that will prevent these issues, not the shaving of your beard. Brush your teeth twice a day, use floss and mouthwash daily, chew sugar free gum between meals when you aren’t able to brush, and see your dentist at least twice a year. As much as we love those beards, they hide the jawline making it harder to spot changes which can be an indication of potential oral health issues. Men who are not shaving everyday likely don’t examine their chins and jawline as often as their smooth-faced counterparts. So, if you are part of our bearded brethren, you should take a couple moments every morning to take a closer look. Be aware of any changes in the appearance of your jawline, or any unexplained discoloration. Areas of unexplained numbness should be of some concern as well. If you have any lumps or pain in your neck or jaw you should always contact your doctor and/or dentist. Aside from any visual clues, be aware of how wide your mouth can open. If it decreases dramatically, you should take alert. Even when the swelling is very subtle, the inability to open your mouth completely can be a symptom of oral cancer and an indication it’s time to see your dentist. Beard or no beard, good oral health habits and regular dental exams are keys to keeping all men healthy. And we’re here to help. Your PERFECT TEETH dentists want to be sure you are as healthy as possible. Your dentist is skilled in detecting oral health issues, including oral cancer, which means making and keeping your annual dental exams more important than ever. Find a dentist near you today online or give us a call at 844-717-9588.